The magical island of Inishmòr is illuminated with incredible light and is swept by fresh winds from the Atlantic Ocean. It is the home to numerous ancient monuments, Celtic ruins, and holy wells. One site, Dun Aengus, is estimated to have been occupied at the end of the Bronze Age, about 900 B.C.E. Situated on a sheer cliff that drops 300 feet to the ocean, this site was described by a 19th century archeologist as "the most magnificent barbaric monument now extant in Europe." 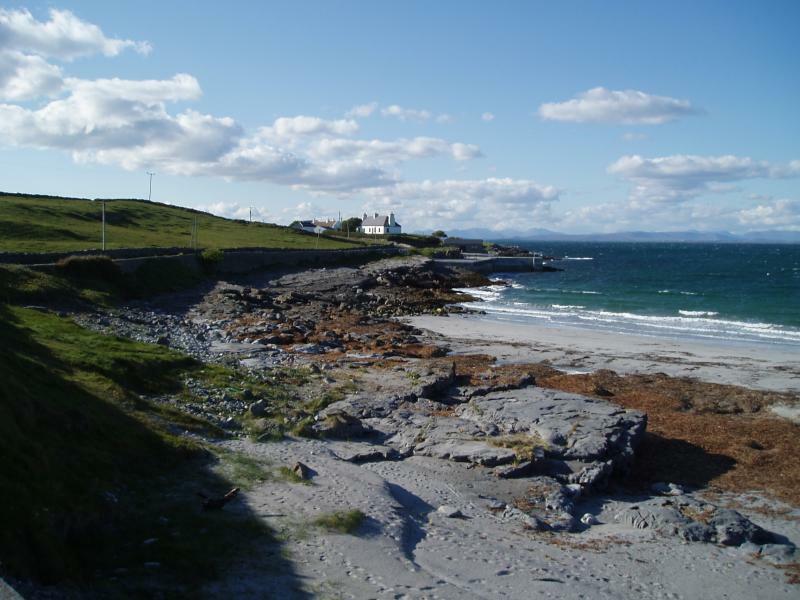 Inishmòr is the largest of three islands known as the Aran Islands that span the opening to Galway Bay. A small island, measuring about 8 miles long and 2 miles wide, it has only about 900 permanent residences and limited vehicular traffic (no car rentals). Transportation around the island is by taxi-vans, horse-drawn jaunting carts, and bicycles (which are available for rental). It is accessible only by boat or small plane. In between the morning and afternoon yoga sessions there will be time to relax and see the island's treasures......Or walk and explore ....... or just watch the magnificent clouds that form over this magical island. One afternoon we will walk the towering cliffs on the west side of the island and watch the turbulent ocean below. And when evening comes it might be time for a pint.